Our civil liberties are under constant attack - but this is nothing new. The challenges we face today all have their roots in the struggles of yesterday. 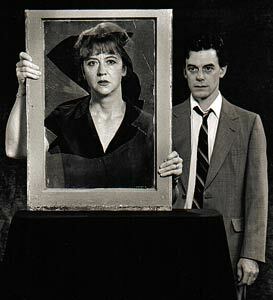 Dixie Seatle (Anne Harvie) and Tom McCamus (Gerald Harvie) from the 1992 production at Factory Theatre. Nir Bareket, photographer. Taking Liberties examines five critical moments in the life of a city, when ordinary citizens are forced to make extraordinary choices. The play moves back through five decades, showing how the moral dilemmas of one era can impact on the events of another. The play consists of five monologues: a professor under attack for her stand on affirmative action; a young Jewish lawyer who is shunned by his family for defending a holocaust denier; a high school student who demands that a controversial novel remain on her school's curriculum; and a newspaper editor who must decide how much free speech his paper will allow. Finally there is the story of the man who ties their lives together - a homosexual accountant who sets out on an agonized stroll through the city all five love. Intellectual sustenance for Taking Liberties was derived from the writings of Dr. A. Alan Borovoy, general counsel of the Canadian Civil Liberties Association, and in particular from his excellent text When Freedoms Collide. 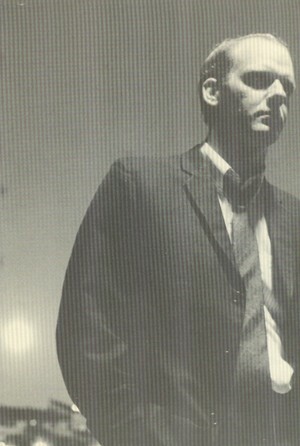 Andrew Wheeler in the Vancouver production of Taking Liberties. Photo by Steven Blackwell. 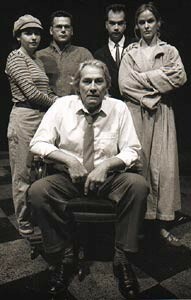 The cast of the 1995 production at Summerworks, Toronto. (Lef to right:) Esther Arbeid (Sara Munro); Jeffrey R. Smith (Ron Bloom); David Fox (seated, Heck Munro); Jim Jones (Gerald Harvie); and Fiona Highet (Anne Harvie). Photograph by Andrew Waller. David Fox would return to play Heck Munro in the 2010 production at the Toronto Fringe. The cast of the Factory Theatre production of Taking Liberties. Standing L to R: Michael Caruana, Gary Reineke and Tom McCamus. Sitting L to R: Stephanie Morgenstern and Dixie Seatle. Stephen Ouimette directed.